Sometimes the skin is stubborn and does not respond to a treatment you may have tried. Then it may be time to consider a comprehensive approach, which may involve more than one type of treatment. This process, called skin rejuvenation, must be carefully considered and tailored to your unique needs. 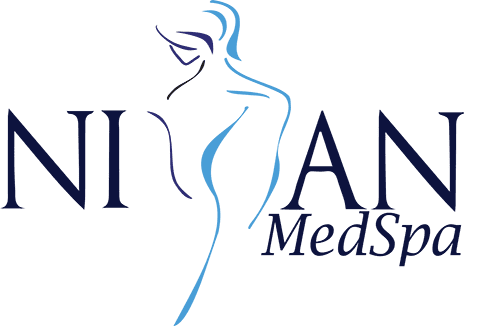 You can feel confident that you will receive personalized treatment working with Dr. Kajal Roy, MD, of Niyan Medspa in Ashburn, Virginia. Call or book a consultation online today. Skin rejuvenation is an umbrella term to cover a range of treatments to care for aging skin. For example, some people may benefit from chemical peels and dermal fillers to diminish lines and wrinkles. These treatments can also be used to address skin pigmentation issues and age spots. After consulting with Dr. Roy, she may recommend several different treatment approaches. Also, be prepared to have several sessions for the best possible results. What kinds of conditions can skin rejuvenation treat? What types of procedures are considered skin rejuvenation treatments? What can I do to protect my skin following these treatments? Dr. Roy recommends using Ever® Skin products to keep your skin clean and fresh. An advantage of these products is that they contain natural ingredients, such as ectoine, which can minimize the effects of sun damage and aging, and ergothioneine, an amino acid that helps reduce the appearance of wrinkles. These products are safe for people with all different kinds of skin, even those with sensitive skin. What’s more, they don’t contain any chemicals that are illegal in the United States, Canada, or Europe. They are an excellent way to continue to protect your skin after more extensive treatments. Dr. Kajal Roy can help you decide among the various skin rejuvenation treatments available based on your skin health and the results you wish to achieve. Contact her at Niyan Medspa in Ashburn, Virginia, or book an appointment online. Don’t hesitate to get in touch.